This is just a quick post now that I have returned from my Caribbean cruise adventure. Whilst away, Catherine and I managed to complete the stitching (by hand!) 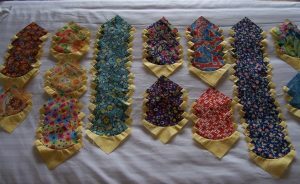 of the 144 blocks that will go to make up her Caribbean Quilt. I laid the blocks out arranged according to the different prints – they are looking good. 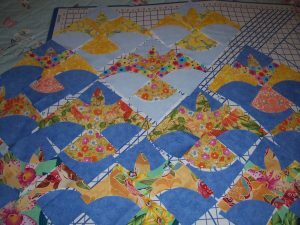 Catherine now has the task of putting the blocks together, adding a border and completing the making of the quilt. 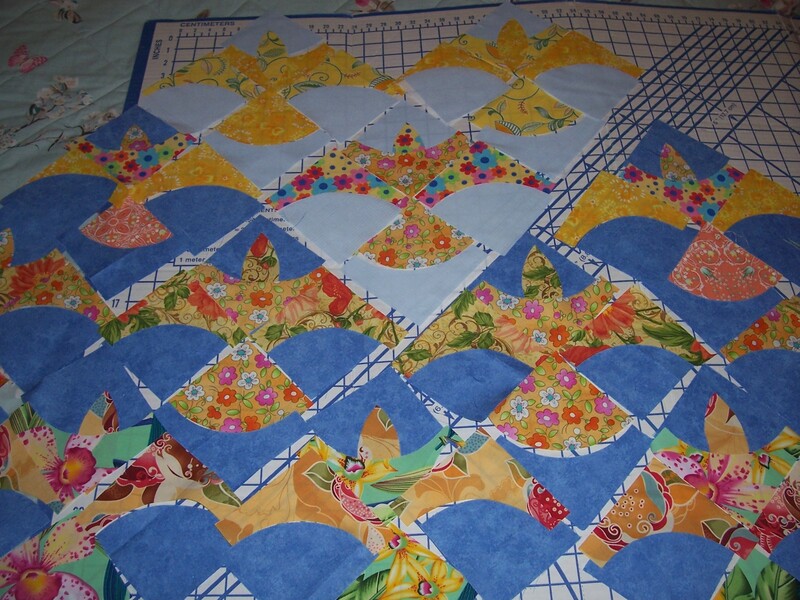 Meantime, I have about 20 of my own Bird blocks to stitch on the sewing machine. Let’s see which of us completes their quilt first!